The health service, HS2 and development are the three key challenges for the Vale this new year – according to MP David Lidington. 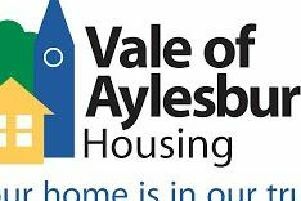 Mr Lidington, who was re-elected as MP for Aylesbury in May, says that securing the right Vale development plan is one of the most important priorities for him this coming year. He said: “I think the big challenge has to be development, because I think 2016 is going to be crucial for the detail of the Aylesbury local plan. That plan will determine the scale of development in the area for the next 20 years. “Once substantial new development is approved, the next round of planning applications will look at what has already been approved, so this stage is crucial. “These decisions will also have a major impact on what decisions need to be made with regards to transport infrastructure and services. NHS services are also high on Mr Lidington’s agenda, and he hopes to work with service providers to create better collaborations within his constituency. He said: “In the last few months I have been visiting a number of our local NHS organisations talking to the ambulance service, the NHS trust and GPs. What it seems to me is that there is going to be a period of change for the health service. Mr Lidington says the mainstay of his constituency work has been on HS2. He said: “I’m finding that a lot of my staff’s office time is taken up with the details of individuals wanting compensation.